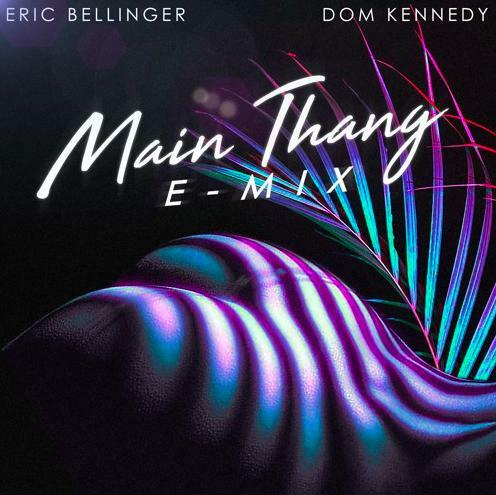 Eric & Dom switch things up on "Main Thang." We're always down for a Dom Kennedy and Eric Bellinger collaboration. The duo dropped off a video for their single "Main Thang" back in April that saw them posted up on the boardwalk of Venice and today, they've decided to rearrange the verses on the beat for a whole new remix. Properly dubbed e-mix, this new version hears Dom drop his verse earlier than the original, with new hooks while still maintaining the original vibe that makes the track a good one. Listen to the new-new below and let us know what you think. In other Eric news, the Los Angeles born singer is set to drop a collab tape with none other than Wale. The announcement was made while both homies were on stage during Eric's "The Eazy Call Tour" back in June. We haven't heard any more updates on the exciting project but hopefully, that just means they're busy in the studio bringing it to life.